Bigg Boss contestants this season have been fighting about everything. There are spats in the garden area, during tasks, over food and a lot more. There are times everyone in the house is yelling at each other and I just can't understand who is trying to say what. Most fights are baseless and sometimes endless. Wondering why I am talking about only fights? Because there were plenty last night, too. 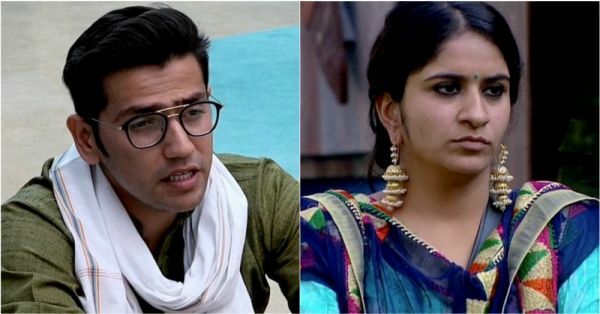 In case you missed what the new luxury budget task and what went wrong between Romil and Surbhi, we have the highlights for you. In the morning, Somi and Surbhi were seen talking about Romil. Somi told Surbhi that even though she's hurt (about Romil calling her a weak contestant), she would still talk to Romil normally as she knows he's also affected by their misunderstanding and couldn't sleep the night before. Later, when Somi was in the kitchen with Dipika, Romil came up to Somi and hugged her. He thanked her for forgiving him, but Somi seemed to be unforgiving even then. Bigg Boss gave an interesting rather combative luxury budget task to the contestants called BB Panchayat. The inmates were divided into two teams - one led by Dipika and the other by Deepak. Dipika's team had Romil, Sreesanth and Megha. Deepak's team had Surbhi, Karanvir and Rohit. Jasleen and Somi were the sarpanchs in the task. As sarpanchs, Jasleen and Somi had to accept or reject an accusation. The team that won more number of hearings would win the task. Dipika accused Surbhi of being fake and aggressive in the house. She added that Surbhi's behaviour spoils the atmosphere of the house. 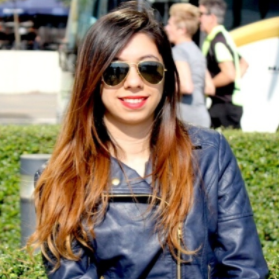 She called Romil as her witness, who revealed a secret about Surbhi. He said that Surbhi had told him long back that she would be aggressive till the ninth week and become very calm after that. Jasleen and Somi were impressed with Deepika's justification and her team won the first round. Not at part of the task, but Surbhi accused Romil of staring at her. She said that Romil made her uncomfortable. She also added that she couldn't understand why he would do that to his sister. Romil was taken aback by Surbhi's statement and swore on his wife and kids that he was looking at Rohit, not her. Everyone turned against Surbhi for stooping so low. Somi and Jasleen asked Surbhi to apologise to Romil and never do this again. After two more rounds of the luxury budget task, one won by Dipika's team and the other by Deepak's team, the score for the day was 2-1. Later, Somi spotted Romil crying in the garden area because he was immensely hurt by Surbhi's accusations against him. He broke down and told Somi that he isn't of questionable character. Surbhi came there and half-heartedly apologised to Romil, saying that they shared a great bond earlier but now they're rivals.